I am extremely excited to announce that BUNKER, the film I was a part of this past November, has been accepted in to the Seattle International Film Festival! 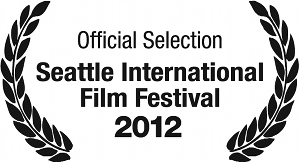 It will have its World Premiere May 28, 2012 as part of this year’s festival. I am so proud & excited that this Washington based cast & crew will get the chance to premiere at this amazing festival in our very own community. And that’s not all! We have also been accepted into the deadCENTER Film Festival in Oklahoma City [June 6-10]! I am new to this whole film festival business so I don’t know much what it means for me or my future [or current] career. But I’ll tell you this. IT FEELS AWESOME. And I’m just excited that so many people will get the chance to see the film into which we [especially our phenomenal director Kim Voynar] put so much of our time, thoughts, & heart. Happy doesn’t begin to cut it.